From time-to-time, you may want to exclude certain domains, URLs, or search terms from the Safeguarding Full report. For example, schools doing projects about Ancient Egyptian mythology may find the search term "Isis" being frequently reported as a breach as students may be searching for information about that particular goddess. 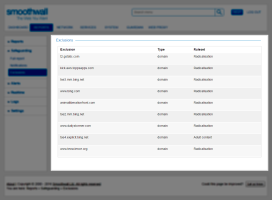 Any exclusions made on your Smoothwall are sent back to our content filter servers to help us improve our blocklists and web categorization. 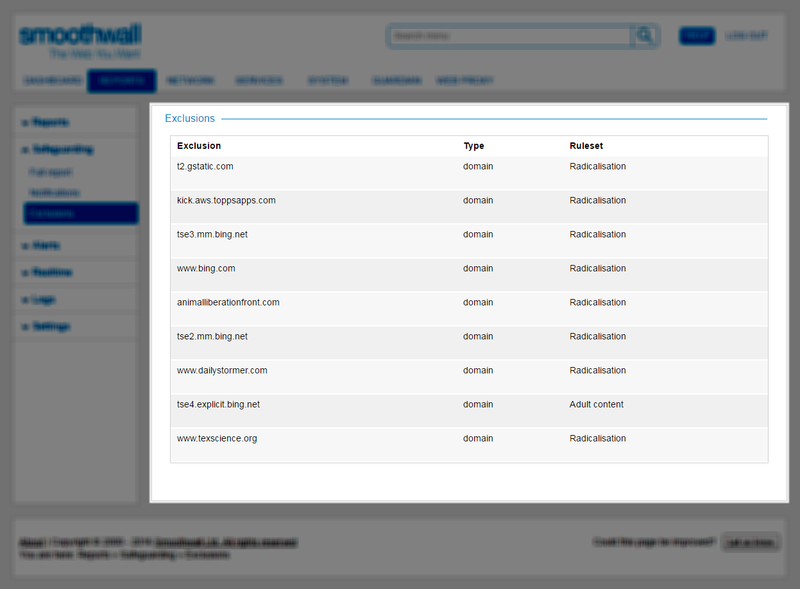 Note: At the time of writing, you cannot manually add domains, URLs, or search terms to the exclusion list. These must be added from the Safeguarding Full report page — see Excluding Domains, URLs, and Search Terms.  Ruleset — The Safeguarding ruleset that this exclusion was excluded from, see What is a Safeguarding Ruleset? 1. Go to Reports > Safeguarding > Exclusions. 2. Locate and highlight the relevant exclusion. Delete should now appear in the row.